Before medical professionals even had digital options, they were figuring out ways to generate decision trees to solve difficult medical problems and obtain diagnoses. The decision tree is an incredibly powerful tool for healthcare purposes, and the introduction of intelligent, interactive options has made the process that much simpler. Zingtree has a proven record of assisting medical professionals in a number of scenarios by making it easy to build a sophisticated triage or diagnosis system. By providing tools to create a user-friendly, digital way to gather patient information, Zingtree simplifies the pre-diagnosis or diagnosis process for patients, doctors, nurses and more. Risk assessment, patient enrollment and medical examinations have all been somewhat tedious tasks for the patient to be involved in. In order to ease their worries and expedite the treatment process as much as possible for all parties, you can create a decision tree for a more streamlined approach to gathering pertinent information, and routing patients to the right specialists. When the decision tree session has been completed, this Q&A patient information can also be delivered securely. Medical diagnosis is one of those things in life that lends itself to a troubleshooting process. By asking a patient a few questions and then reacting to the answers with appropriate follow-up questions for more relevant information, medical professionals can narrow down the possibilities of what’s affecting a patient, rule out certain scenarios, and facilitate treatment options quickly. With scoring options available, you can also numerically weight answers and assign a score to each question answered to later act intelligently upon the total score. A Zingtree interactive decision tree built with solid medical advice from an expert in the field can take patients through an intuitive process to help determine what steps to take next. Most often, healthcare professionals and organizations use Zingtree to screen patients, route them to correct departments, and fill out forms in a secure, HIPAA-compliant way. 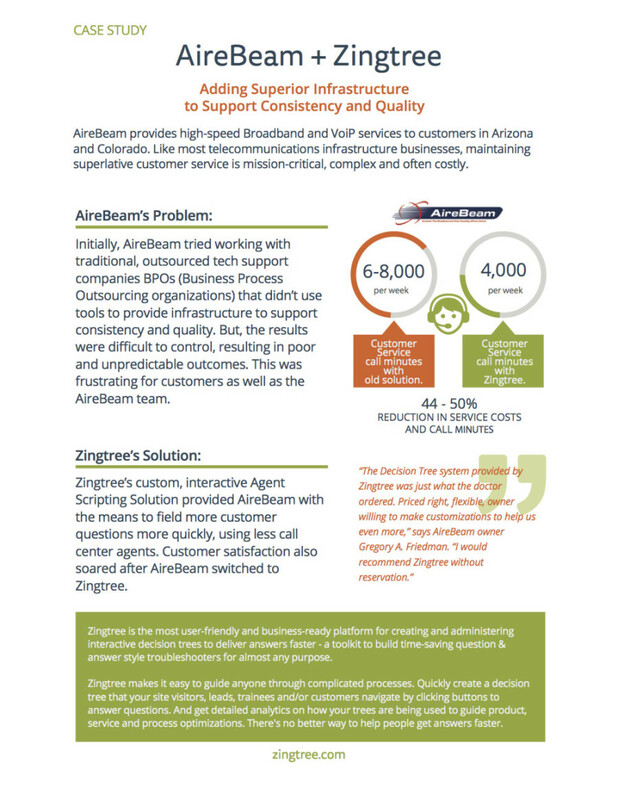 To see a real-life use-case, take a look at our case study with Spokane Ear Nose & Throat. 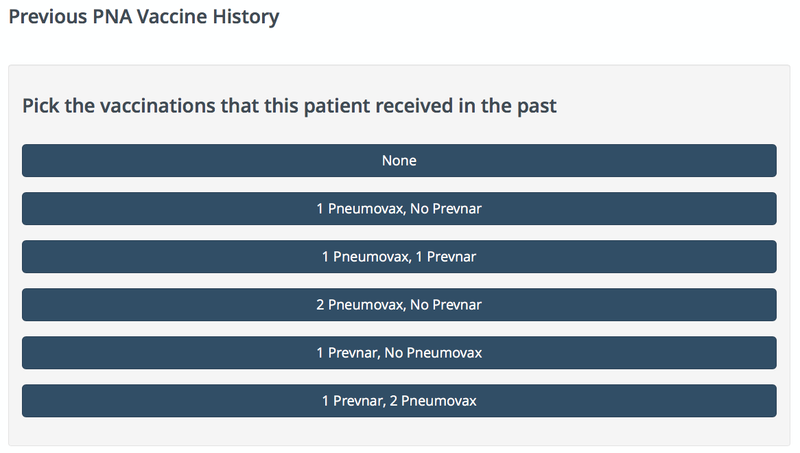 View real, live examples of medical decision trees in the Zingtree Medical Decision Tree Gallery for inspiration, or to copy and use the format for your own medical practice or healthcare needs! Are you interested in trying out a Zingtree decision tree for your medical practice? Contact us with any questions, or get started today. Check out https://sagliklokman.com/en/symptom or http://priaid.com/en-gb/enter-symptoms. They both use the http://apimedic.com services, which matches symptoms with diseases. It is developed by a Swiss startup with clients in Europe. As you can see by the references on the ApiMedic.com website the API is already used by some major healthcare clients. The service is described as follows: ApiMedic offers a medical symptom checker primarily for patients. Based on the entered symptoms it tells you what possible diseases you have (differential diagnosis). It directs you to more medical information and shows you the right doctor for further clarifications. The symptom checker can be integrated via the flexible API (Application Programming Interface).